Basra (Arabic: البصرة‎ al-Baṣrah) is an Iraqi city located on the Shatt al-Arab between Kuwait and Iran. It had an estimated population of 2.5 million in 2012. Basra is also Iraq's main port, although it does not have deep water access, which is handled at the port of Umm Qasr. The city is one of the ports from which the fictional Sinbad the Sailor journeyed. It played an important role in early Islamic history and was built in 636. Basra is consistently one of the hottest cities in Iraq, with summer temperatures regularly exceeding 50 °C (122 °F). In April 2017, the Iraqi Parliament recognized Basra as Iraq's economic capital. The city was called by many names throughout its history, Basrah being the most common. In Arabic the word baṣrah means "the overwatcher", which might have been an allusion to the city's origin as an Arab military base against the Sassanids. Others have argued that the name is derived from the Aramaic word basratha, meaning "place of huts, settlement". The city was founded at the beginning of the Islamic era in 636 and began as a garrison encampment for Arab tribesmen constituting the armies of the Rashid Caliph Umar. A tell a few kilometres south of the present city, still marks the original site which was a military site. While defeating the forces of the Sassanid Empire there, the Muslim commander Utbah ibn Ghazwan erected his camp on the site of an old Persian military settlement called Vaheštābād Ardašīr, which was destroyed by the Arabs. The name Al-Basrah, which in Arabic means "the over watching" or "the seeing everything", was given to it because of its role as a military base against the Sassanid Empire. However, other sources claim the name originates from the Persian word Bas-rāh or Bassorāh meaning "where many ways come together". In 639 Umar established this encampment as a city with five districts, and appointed Abu Musa al-Ash'ari as its first governor. The city was built in a circular plan according to the Partho-Sasanian architecture. Abu Musa led the conquest of Khuzestan from 639 to 642 and was ordered by Umar to aid Uthman ibn Abu al-ʿAs, then fighting Iran from a new, more easterly miṣr at Tawwaj. In 650, the Rashidun Caliph Uthman reorganised the Persian frontier, installed ʿAbdullah ibn Amir as Basra's governor, and put the military's southern wing under Basra's control. Ibn Amir led his forces to their final victory over Yazdegerd III, the Sassanid King of Kings. The Sufyanids held Basra until Yazid I's death in 683. The Sufyanids' first governor was Umayyad ʿAbdullah, a renowned military leader, commanding fealty and financial demands from Karballah, but poor governor. In 664, Muʿawiyah I replaced him with Ziyad ibn Abi Sufyan, often called "ibn Abihi" ("son of his own father"), who became infamous for his draconian rules regarding public order. On Ziyad's death in 673, his son ʿUbaydullah ibn Ziyad became governor. In 680, Yazid I ordered ʿUbaydullah to keep order in Kufa as a reaction to Hussein ibn Ali's popularity as the grandson of the Islamic Prophet Muhammad. ʿUbaydullah took over the control of Kufa. Hussein sent his cousin as an ambassador to the people of Kufa, but ʿUbaydullah executed Hussein's cousin Muslim ibn Aqeel amid fears of an uprising. ʿUbaydullah amassed an army of thousands of soldiers and fought Hussein's army of approximately 70 in a place called Karbala near Kufa. ʿUbaydullah's army was victorious; Hussein and his followers were killed and their heads were sent to Yazid as proof. Abd al-Malik ibn Marwan reconquered Basra in 691, and Basra remained loyal to his governor al-Hajjaj during Ibn Ashʿath's mutiny (699–702). However, Basra did support the rebellion of Yazid ibn al-Muhallab against Yazid II during the 720s. In the 740s, Basra fell to as-Saffah of the Abbasid Caliphate. During the time of the Abbasids, Basra became an intellectual centre and home to the elite Basra School of Grammar, the rival and sister school of the Kufa School of Grammar. Several outstanding intellectuals of the age were Basrans; Arab polymath Ibn al-Haytham, the Arab literary giant al-Jahiz, and the Sufi mystic Rabia Basri. The Zanj Rebellion by the agricultural slaves of the lowlands affected the area. In 871, the Zanj sacked Basra. In 923, the Qarmatians, an extremist Muslim sect, invaded and devastated Basra. 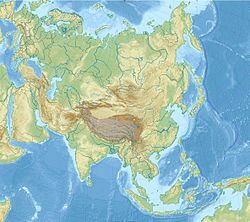 From 945 to 1055, a Buyid dynasty ruled Baghdad and most of Iraq. Abu al Qasim al-Baridis, who still controlled Basra and Wasit, were defeated and their lands taken by the Buyids in 947. Adud al-Dawla and his sons Diya' al-Dawla and Samsam al-Dawla were the Buyid rulers of Basra during the 970s, 980s and 990s. Sanad al-Dawla al-Habashi (ca.921–977), the brother of the Emir of Iraq Izz al-Dawla, was governor of Basra and built a library of 15,000 books. The Oghuz Turk Tughril Beg was the leader of the Seljuks, who expelled the Shiite Buyid dynasty. He was the first Seljuk ruler to style himself Sultan and Protector of the Abbasid Caliphate. In 1290 fighting erupted at the Persian Gulf port of Basra among the Genoese, between the Guelph and the Ghibelline factions. 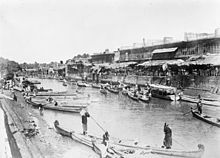 Ibn Battuta visited Basra in the 14th century, noting it "was renowned throughout the whole world, spacious in area and elegant in its courts, remarkable for its numerous fruit-gardens and its choice fruits, since it is the meeting place of the two seas, the salt and the fresh." 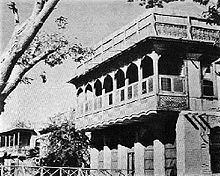 Ibn Battuta also noted that Basra consisted of three quarters: the Hudayl quarter, the Banu Haram quarter, and the Iranian quarter (mahallat al-Ajam). Fred Donner adds: "If the first two reveal that Basra was still predominantly an Arab town, the existence of an Iranian quarter clearly reveals the legacy of long centuries of intimate contact between Basra and the Iranian plateau." The Arab Al-Mughamis tribe established control over Basra in the early fifteenth century, however, they quickly fell under influence of the Kara Koyunlu and Ak Koyunlu, successively. [a] The Al-Mughamis' control of Basra had become nominal by 1436; de facto control of Basra from 1436 to 1508 was in the hands of the Moshasha. [b] In the latter year, during the reign of King (Shah) Ismail I (r. 1501–1524), the first Safavid ruler, Basra and the Moshasha became part of the Safavid Empire. [c] This was the first time Basra had come under Safavid suzerainty. In 1524, following Ismail I's death, the local ruling dynasty of Basra, the Al-Mughamis, resumed effective control over the city. Twelve years later, in 1536, during the Ottoman-Safavid War of 1532-1555, the Bedouin ruler of Basra, Rashid ibn Mughamis, acknowledged Suleiman the Magnificent as his suzerain who in turn confirmed him as governor of Basra. The Arab provinces of the Ottoman Empire exercised a great deal of independence, and they even often raised their own troops. Though Basra had submitted to the Ottomans, the Ottoman hold over Basra was tenuous at the time. This changed a decade later; in 1546, following a tribal struggle involving the Moshasha and the local ruler of Zakiya (near Basra), the Ottomans sent a force to Basra. This resulted in tighter (but still, nominal) Ottoman control over Basra. In 1523, the Portuguese under the command of António Tenreiro crossed from Aleppo to Basra. In 1550, the Portuguese threatened Basra. In 1624, the Portuguese assisted Basra Pasha in repelling a Persian invasion. The Portuguese were granted a share of customs and freedom from tolls. From about 1625 until 1668, Basra and the Delta marshlands were in the hands of local chieftains independent of the Ottoman administration at Baghdad. Basra was, for a long time, a flourishing commercial and cultural centre. It was captured by the Ottoman Empire in 1668. It was fought over by Turks and Persians and was the scene of repeated attempts at resistance. From 1697 to 1701, Basra was once again under Safavid control. The Zand Dynasty under Karim Khan Zand briefly occupied Basra after a long siege in 1775-9. The Zands attempted at introducing Usuli form of Shiism on a basically Akhbari Shia Basrans. The shortness of the Zand rule rendered this untenable. In 1911, the Encyclopaedia Britannica reported "about 4000 Jews and perhaps 6000 Christians" living in Basra, but no Turks other than Ottoman officials. In 1884 the Ottomans responded to local pressure from the Shi'as of the south by detaching the southern districts of the Baghdad vilayet and creating a new vilayet of Basra. 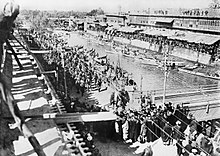 The population of Basra was 101,535 in 1947, and reached 219,167 in 1957. The University of Basrah was founded in 1964. By 1977, the population had risen to a peak population of some 1.5 million. The population declined during the Iran–Iraq War, being under 900,000 in the late 1980s, possibly reaching a low point of just over 400,000 during the worst of the war. The city was repeatedly shelled by Iran and was the site of many fierce battles, such as Operation Ramadan and Operation Karbala 5. On 25 January 1999, Basra was the scene of scores of civilian casualties when a missile fired by a US warplane was dropped in a civilian area. Eleven persons were killed and fifty-nine injured. General Anthony Zinni, then commander of US forces in the Persian Gulf, acknowledged that it was possible that "a missile may have been errant". While such casualty numbers pale in comparison to later events, the bombing occurred one day after Arab foreign ministers, meeting in Egypt, refused to condemn four days of air strikes against Iraq in December 1998. This was described by Iraqi information minister Human Abdel-Khaliq[d] as giving the United States and Britain "an Arab green card" to attack Iraq. A second revolt in 1999 led to mass executions in and around Basra. Subsequently, the Iraqi government deliberately neglected the city, and much commerce was diverted to Umm Qasr. These alleged abuses are to feature amongst the charges against the former regime to be considered by the Iraq Special Tribunal set up by the Iraq Interim Government following the 2003 invasion. On 21 April 2004, a series of bomb blasts ripped through the city, killing 74 people. The Multi-National Division (South-East), under British Command, was engaged in Security and Stabilization missions in Basra Governorate and surrounding areas during this time. Political groups centred in Basra were reported to have close links with political parties already in power in the Iraqi government, despite opposition from Iraqi Sunnis and the more secular Kurds. January 2005 elections saw several radical politicians gain office, supported by religious parties. American journalist Steven Vincent, who had been researching and reporting on corruption and militia activity in the city, was kidnapped and killed on 2 August 2005. On 19 September 2005, two undercover British SAS soldiers disguised in Arab civilian clothes and headdresses opened fire on Iraqi police officers after having been stopped at a roadblock, killing at least one. After the two soldiers were arrested, the British Army raided the jail they were being held in to rescue them, killing several people from among their nominal allies – the Iraqi security forces. Major-General Abdul Jalil Khalaf was appointed Police Chief by the central government with the task of taking on the militias. He was outspoken against the targeting of women by the militias. Talking to the BBC, he said that his determination to tackle the militia had led to almost daily assassination attempts. This was taken as sign that he was serious in opposing the militias. In March 2008, the Iraqi Army launched a major offensive, code-named Saulat al-Fursan (Charge of the White Knights), aimed at forcing the Mahdi Army out of Basra. The assault was planned by General Mohan Furaiji and approved by Iraqi Prime Minister Nouri al-Maliki. In April 2008, following the failure to disarm militant groups, both Major-General Abdul Jalil Khalaf and General Mohan Furaiji were removed from their positions in Basra. Basra was scheduled to host the 22nd Arabian Gulf Cup tournament in Basra Sports City, a newly built multi-use sports complex. The tournament was shifted to Riyadh, Saudi Arabia, after concerns over preparations and security. Iraq was also due to host the 2013 tournament, but that was moved to Bahrain. At least 10 demonstrators died as they protested against the lack of clean drinking water and electrical power in the city during the height of summer in 2018. Some protesters stormed the Iranian consulate in the city. An all-time high temperature was recorded on July 22, 2016, when daytime readings soared to 53.8 °C (128.8 °F). This is one of the hottest temperatures ever measured on the planet. The following night, the night time low temperature was 38.8 °C (101.8 °F), which was one of the highest minimum temperatures on any given day, only outshone by Khasab, Oman and Death Valley, California, USA. 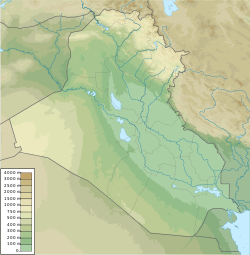 The lowest temperature ever recorded in Basra was −4.7 °C (23.5 °F) on January 22, 1964. In Basra the vast majority of the population are ethnic Arabs of the Adnanite or the Qahtanite tribes. The tribes located in Basra include Al-Emarah, Bani Mansour, Dulaim, Shammar, Jubur, Bani Tamim, Bani Malik, Zubaid, Al-shwelat, Suwa'id, Al-bo Mohammed, Al-Badr, Al-Ubadi, Ruba'ah Sayyid tribes (descendants of the Islamic prophet Muhammed) and other Arab tribes. In addition to the Arabs, there is also a community of Afro-Iraqi peoples, known as Zanj. The Zanj are a Muslim Ethnic group living in Iraq and are a mix of African peoples taken from the coast of the area of modern-day Kenya as slaves in the 900s. They now number around 200,000 in Iraq. Basra is a major Shia city, with the old Akhbari Shiism progressively being overwhelmed by the Usuli Shiism. The Sunni population is tiny and dropping in their percentage as more Iraqi Shias move into Basra for various job or welfare opportunities. The satellite town of Az Zubayr in the direction of Kuwait was a Sunni town, but the burgeoning population of Basra has spilled over into Zubair, turning it into an extension of Basra with a slight Shia majority as well. Assyrians were recorded in the Ottoman census as early as 1911, and a small number of them live in Basra. However, a significant number of the modern community are refugees fleeing persecution from ISIS in the Nineveh Plains, Mosul, and northern Iraq. But ever since the liberation of ISIS in Iraq many Christians have returned to their Homeland in the Nineveh plains. In 2018 there are about a few thousand Christians in Basra. One of the largest communities of pre-Islamic Mandaeans live in the city, whose headquarters was in the area formerly called Suk esh-Sheikh. Sinbad Island is located in the centre of Shatt Al-Arab, near the Miinaalmakl, and extends above the bridge Khaled and is a tourist landmark. The Muhhmad Baquir Al-Sadr Bridge, at the union of the Tigris and Euphrates Rivers, was completed in 2017. Sayyed Ali al-Musawi Mosque, also known as the Mosque of the Children of Amer, is located in the city centre, on Al-Gazear Street, and it was built for Shia Imami's leader Sayyed Ali al-Moussawi, whose followers lived in Iraq and neighbouring countries. The Fun City of Basra, which is now called Basra Land, is one of the oldest theme-park entertainment cities in the south of the country, and the largest involving a large number of games giants. It was damaged during the war, and has been rebuilt. There are four formal presidential palaces in Basra. Shipping, logistics and transport are also major industries in Basra. Basra is home to all of Iraq's six ports; Umm Qasr is the main deep-water port with 22 platforms, some of which are dedicated to specific goods (such as sulphur, seeds, lubricant oil, etc.) The other five ports are smaller in scale and more narrowly specialized. Fishing was an important business before the oil boom. The city also has an international airport, with service into Baghdad with Iraqi Airways—the national airline. The city is home to the sports team Al-Mina'a. Its basketball division is among the Arab elite teams that compete at the Arab Club Basketball Championship. 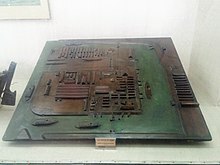 The city of Basra has a major role in H. G. Wells's 1933 future history "The Shape of Things to Come", where the "Modern State" is at the centre of a world state emerging after a collapse of civilization, and becomes in effect the capital of the world. ^ The Al-Mughamis were a branch of the Banu'l-Muntafiq who inhabited the area between Kufa and Basra. ^ The Moshasha were a tribal confederation of radical Shi'ites found mainly on the edges of the marshes alongside the Safavid province of Arabestan (present-day Khuzestan). They often acted as Safavid proxies and were led by a Safavid governor. They participated in campaigns against the Arabs of southern Iraq and Basra. Matthee notes that even though they were nominal Safavid subjects, they had a broad scope of autonomy, and their territory served as a buffer between the Ottomans and the Iranians. ^ According to Floor (2008), a certain Shaykh Afrasiyab (the local ruler of Basra, not to be mistaken with the later Afrasiyab of Basra) came to Shiraz in 1504 to pledge his allegiance to Ismail I. Ismail I in turn confirmed him in his possessions and position as governor (vali) of Basra. Thus, Floor's stance differs slightly. ^ Sam Dagher (18 September 2007). "In the 'Venice of the East,' a history of diversity". The Christian Science Monitor. Retrieved 2 January 2014. 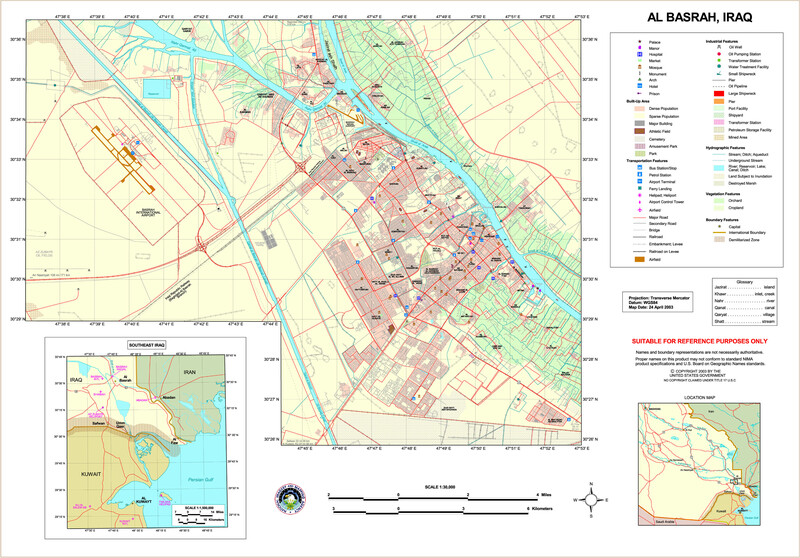 ^ a b "Basra city Profile" (PDF). UN Joint Analysis Unit. Archived from the original (PDF) on 26 September 2015. Retrieved 2 June 2017. ^ "Iraqi parliament recognizes Basra as economic capital". ^ Battutah, Ibn (2002). The Travels of Ibn Battutah. London: Picador. p. 60. ISBN 9780330418799. ^ a b Donner, F.M. (1988). "BASRA". Encyclopaedia Iranica, Vol. III, Fasc. 8. pp. 851–855. ^ a b c d Matthee 2006a, p. 57. ^ Matthee 2006a, p. 55. ^ a b c Matthee 2006b, pp. 556–560, 561. ^ a b c Longrigg & Lang 2015. ^ a b Floor 2008, p. 165. ^ Matthee 2006a, p. 53. ^ Matthee, Rudi (2006). "IRAQ iv. RELATIONS IN THE SAFAVID PERIOD". Encyclopaedia Iranica (Vol. XIII, Fasc. 5 and Vol. XIII, Fasc. 6). pp. 556–560, 561. "Basra" . Encyclopædia Britannica. 3 (11th ed.). 1911. p. 489. ^ "Population of capital city and cities of 100,000 or more inhabitants". Demographic Yearbook 1955. New York: Statistical Office of the United Nations. ^ "National Intelligence Survey. Iraq. Section 41, Population" (PDF). CIA. 1960. ^ Paul Koring (26 January 1999). "USAF air strikes kill 11, injure 59: Iraq". The Globe and Mail. Toronto. p. A8. These air strikes, by British and USAF warplanes and U.S. cruise missiles, were said to be in response to a release of a report by UN weapons inspectors stating that, as of 1998, the government of Iraq was obstructing their inspection work. Following the four days of bombing in December, the Iraqi government commenced challenging the "no fly zones" unilaterally imposed on the country by the United States, following the 1991 Persian Gulf war. During the month of January, 1999, there were more than 100 incursions by Iraqi aircraft and 20 instances of Iraqi surface-to-air missiles being filed. The January bombing of Basra occurred in the context of retaliatory attacks by the United States. ^ "Steven Vincent". Committee to Protect Journalists. 2005. ^ "UK soldiers 'freed from militia'". BBC. 20 September 2005. Retrieved 17 March 2012. ^ "British smash jail walls to free 2 arrested soldiers". San Francisco Chronicle. 20 September 2005. Retrieved 17 March 2012. ^ "UK troops return Basra to Iraqis". BBC News. 16 December 2007. Retrieved 1 January 2010. ^ "Basra residents blame UK troops". BBC News. 14 December 2007. Retrieved 1 January 2010. ^ "Basra militants targeting women". BBC News. 15 November 2007. Retrieved 1 January 2010. ^ "Basra: The Legacy". BBC News. 17 December 2007. Retrieved 1 January 2010. ^ "Uncertainty follows Basra exit". BBC News. 15 December 2007. Retrieved 1 January 2010. ^ Glanz, James (27 March 2008). "Iraqi Army's Assault on Militias in Basra Stalls". New York Times. Archived from the original on 11 December 2008. Retrieved 27 March 2008. ^ "Basra security leaders removed". BBC News. 16 April 2008. Retrieved 1 January 2010. ^ "Iraqi Meteorological Department, 1970" (PDF). Iraqi Meteorological Department. 1970. ^ "Climate: Basra – Climate graph, Temperature graph, Climate table". Climate-Data.org. Retrieved 22 August 2013. ^ "Basra Climate and Weather Averages, Iraq". Weather2Travel. Retrieved 22 August 2013. Longrigg, Steven Helmsley; Lang, Katherine H. (2015). "Basra from the Mongol conquest to modern period". In Fleet, Kate; Krämer, Gudrun; Matringe, Denis; Nawas, John; Rowson, Everett. Encyclopaedia of Islam, THREE. Brill Online. ISSN 1873-9830. Matthee, Rudi (2006a). 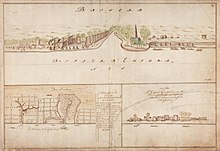 "Between Arabs, Turks and Iranians: The Town of Basra, 1600-1700". Bulletin of the School of Oriental and African Studies, University of London. 69 (1): 53–78. doi:10.1017/S0041977X06000036. JSTOR 20181989. Matthee, Rudi (2006b). "IRAQ iv. RELATIONS IN THE SAFAVID PERIOD". Encyclopaedia Iranica (Vol. XIII, Fasc. 5 and Vol. XIII, Fasc. 6). pp. 556–560, 561. "Basra" . Encyclopædia Britannica. 3 (11th ed.). 1911.